Anyone can hunt in Arizona if you obtain an appropriate hunting license. There are several kinds of hunting licenses in Arizona. Children under 10 can hunt without a license if they are accompanied by an adult. No one under the age of 14 may take big game without having completed a Hunter Education Course. No one under age 10 may take big game in Arizona. For the purpose of obtaining an Arizona hunting license, a resident is someone who has lived in Arizona for at least six months before applying for the license. A nonresident may apply for a license which is valid for the taking of small game and nongame birds (except ducks, geese, and swans). There are certain exceptions for military stationed in Arizona. Hunting and fishing licenses may be purchased online from the Arizona Game and Fish Department or at approved retailers statewide, including Walmart stores, some grocery stores, sporting goods stores, and tackle shops. For small game, a general hunting license is typically all that is required, except for any appropriate stamps for migratory and waterfowl species. You must apply for a permit-tag to hunt big game — antelope, black bear, buffalo, desert bighorn sheep, elk, javelina, turkey, mountain lion, mule deer, and white-tailed deer. Hunt Permit-Tag Application Forms are available online, at Arizona Game and Fish Department offices, and at places that issue licenses. You may only submit one application per genus of wildlife in any calendar year. Each genus of wildlife for which you are applying must be submitted on a separate application. License fees must be included with each application. Properly prepared and submitted applications will be submitted for the draw. The Arizona Game and Fish Department conducts three separate application and draw cycles for big game hunt permit-tags in February, June, and October, depending on the game involved. You will not receive any notification. To find out if you were drawn you can call the Arizona Game and Fish automated service. Press 2 and follow the instructions. You can also get draw results at the Arizona Game and Fish website. For either system, you must provide your Department ID Number and month and date of birth. If you were unsuccessful in the draw, your money will be refunded. Open season dates are determined for kind of big and small game. You may legally shoot during daylight hours. Taking wildlife by moonlight or artificial light is illegal, with exceptions made for raccoons, reptiles, and certain other mammals. In general, you may hunt on lands owned by the U.S. Forest Service, the Bureau of Land Management, and the Arizona State Land Department. Land in Arizona is owned or managed by six different entities, all of which have different rules and regulations. They are The U.S. Forest Service, the Bureau of Land Management, the State of Arizona, Indian Reservations, National Wildlife Refuges, and Military Installations. 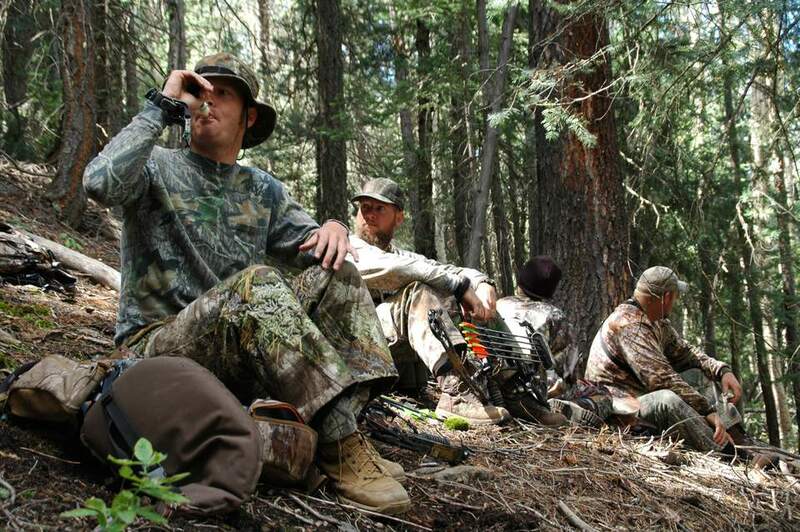 Here are some of the most common mistakes that people make when hunting in Arizona. Penalties may include license revocation and/or fines. Some fines can be thousands of dollars. You should report a violation (even if you were the one who inadvertently committed it) to the Operation Game Thief Hotline. The nine points above serve as an overview, but there are many details associated with hunting and fishing in Arizona. You can get specifics on completing applications, deadline dates, license fees, bonus points, Arizona laws, maps and more at Arizona Game and Fish Department online. Mark your calendar to visit the Arizona Game and Fish Expo each spring! It's great fun for the entire family.